...where we're NUTS about our Alpacas! A beautiful sunset with some of our beautiful dams. Happy to have Coup de Foudre de Snowmass Touche as our new White Herdsire! Storm is a Color Champion & double Blue Ribbon Winner! Our ranch is located in the rolling cross timbers section of north central Texas, and Aubrey Oaks Alpacas is growing as each day passes. Debbie & Charles Ashley are the owners, and are putting every available hour into developing a model ranch for both our Alpacas & for us! Don't forget to visit our full website page at www.aubreyoaksalpacas.com that describe our herd and herdsires, as well as the story of our life as alpaca ranchers: how we got started, what's happening now, & where we are going! We hope that you will enjoy the time you spend on our website as you view our ranch, our animals, and witness the dream that is taking shape on a daily basis! We have obtained some fantastic items made from the wonderful fleece of alpacas. Check our our Alpaca Products page. You can use purchase some wonderfully soft items that make unforgettable gifts! Our Herd is growing... What does that mean for you? We have animals that you will want to see to appreciate! If you are looking into being the next new member of the Alpaca community, we can help you make that lifestyle change you've been looking for! Make an appointment to see one of our herd for yourself ! You'll love the countryside! And Charles & Debbie can tell you all about the benefits & advantages of having your own Alpaca business—whether you have land or not! You'll find us out in the country, between Gainesville & Whitesboro! · 12 monthly payments is available for 1% APR. · 24 monthly payments is available for 3% APR. · 36-48 monthly payments is available for 5% APR. Alpaca purchases are eligible for negotiable discounts. 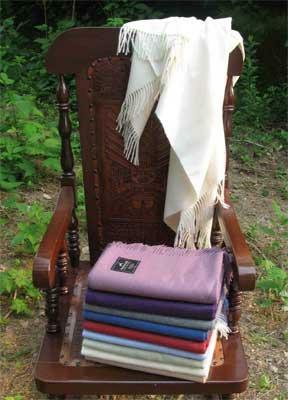 Alpaca textile products are offered for sale at retail on the Alpaca Products page of our website at our normal retail prices; discounts are always provided during our displays during National Alpaca Farm Days and at other off-ranch events, as well as periodic specials advertised through our email list. Please send us your email address and you can be included when we notify our clientele about our sales!